An True Filterless Portable Large Room Air Purifier that Eliminates Smoke, Dust, Pollen, Mold Spores, Bacteria & Viruses in Rooms Up to 650 Square Feet--with Adjustable 10 Color-Changing Night Light and Attractive Adjustable Lotus Flower Design! Excellent for those mold contaminated areas and for those with severe allergies, asthma and COPD as AirFree sterilizes the air and leaves nothing behind. Independently tested in “real life” working conditions by world renowned institutions and ISO 17025 laboratories in six different countries including the USA, Sweden and Germany. Color-Changing Night Light--choose from the selection of 10 night light colors, the intensity or simply select the ‘random’ mode and let the colors alternate softly for you. Airfree Lotus Filterless Air Purifier: AirFree's patented Thermodynamic TSS™ Technology destroys mold, dust mites, bacteria, viruses, pollens, pet dender, tobacco and other organic allergens, sterilizing the air that you breathe. Airfree produces no ozone, no ions, and no UV light, but does however reduce common indoor ozone levels by 26%! AirFree is perfect for mold contaminated areas as well as asthma, allergy & COPD sufferers. The AirFree Lotus is the perfect combination of the highly efficient TSS™ air sterilizing technology and the award-winning maintenance-free compact design of the Airfree P series. Exclusive Patented Thermodynamic TSS™ Technology. Airfree applies the same concept as boiling water by using heat to destroy microorganisms and attains 100% efficiency at the Airfree air outlet. Independently tested in “real life” working conditions by world renowned institutions and ISO 17025 laboratories in six different countries, Airfree Iris 3000 large room air cleaner is proven to destroy microorganisms that pass through its patented system, no matter how small or hazardous they might be, beyond HEPA or other filtration methods. A detailed copy of the independent tests assuring consumers of Airfree's outstanding efficiency in drastically reducing airborne microorganisms is available on request. The Airfree Lotus emits no ozone. The Airfree Thermodynamic TSS™ Technology generates no dangerous emissions, NO ions, NO UV light and NO ozone. In fact, independent tests in laboratories in Sweden demonstrate that Airfree actually reduces ozone by 26%. Ozone is a toxic gas that according to the EPA (Environmental Protection Agency) can trigger asthma and destroy lung tissue. The beauty of Airfree is its simplicity, one of the best benefits of the top-rated Airfree Lotus which is important for today's busy lifestyles. Having no filters to replace also eliminates potential exposure to contaminated materials, which is much more sanitary and better for those that are highly allergic or sensitive. The AirFree Lotus is a top-rated portable large room air purifier that is often used in big bedrooms because it is completely silent and 100% efficient at eliminating pollutants. For most people, a bedroom air purifier must be very quiet or silent, clean the air very well and have compact design that doesn't get in the way. Airfree Lotus offers all of these important features, plus the benefit of no maintenance or filters to replace, helping you save time and money every day--and sleep better. Adjustable 10 Color Night Light and Award-Winning Adjustable Lotus Flower Design! Besides being efficient and completely silent an air purifier should allow for easy integration with your home decor. the Airfree Lotus portable air cleaner offers a compact and award-winning design that will perfectly fit in your home and add beauty while purifying the air. Airfree Lotus also comes with a 10-color fancy adjustable and harmonic night light that may help you create a cozy and comfortable environment for you or loved ones. Ideal for bedrooms, children's rooms and nurseries--just pick the color that makes you feel the most comfortable, or choose random to cycle through all colors! Order your AirFree Lotus Filterless Large Room Air Cleaner today and enjoy clean, sterilized air in your large office, home or bedroom--with no filters to replace and no maintenance! There are not many official online retailers of AirFree air quality products and unfortunately the internet is full of scams. As a general rule of thumb, if the deal seems too good to be true, it probably is. Cheap cut rate online deals often end up being a used or refurbished unit, which do not come with AirFree's top rated warranties. Or even worse, you may end up buying a cheap discount air cleaner that doesn’t have the energy efficiency, features or warranties provided by top-rated AirFree air purification systems. Why Buying From Us is Better Than Buying Direct! 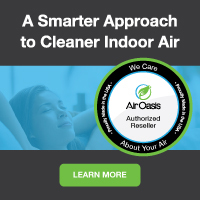 Our innovative partnership with AirFree allows us to ship directly from their warehouse within 24-48 hrs from order time, which cuts out the middle man, saves shipping time, and eliminates the high operating costs of traditional brick and mortar big box stores. All of these savings get passed directly to you, allowing us to offer brand new allergy and asthma symptom-eliminating AirFree air purifiers at the best possible everyday cheap discount online sales prices. And buying from us is definitely better than direct--if you buy direct, you'll have to pay shipping. Buying from us, you always get fast free ground shipping as our thanks to you for shopping with us. If you have any questions give us a call or send us an email and one of indoor air purification experts will be happy to help.